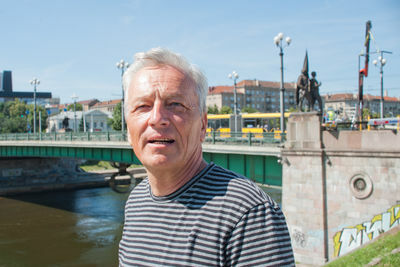 Soviet era statues are being dismantled from the Green Bridge over the Neris river in Vilnius. 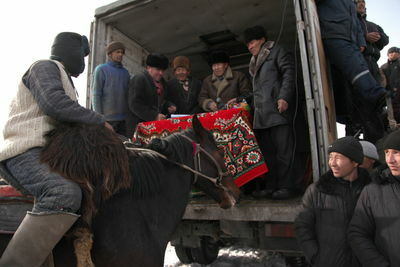 Workers working on the night. 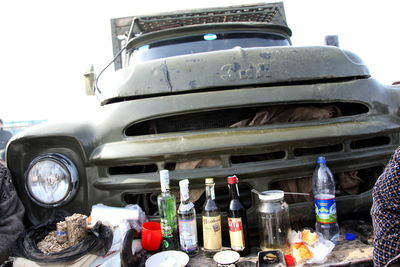 Soviet era statues are being dismantled from the Green Bridge over the Neris river in Vilnius. 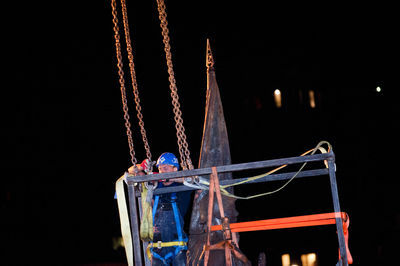 First statue is taken off. Soviet era statues are being dismantled from the Green Bridge over the Neris river in Vilnius. worker near by soviet symbol. 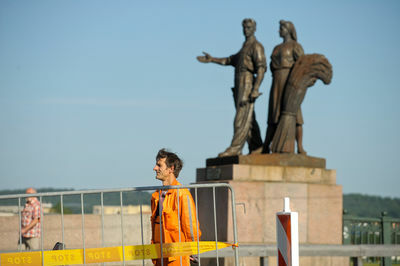 Soviet era statues are being dismantled from the Green Bridge over the Neris river in Vilnius. Worker is carefully takeint statue down. Soviet era statues are being dismantled from the Green Bridge over the Neris river in Vilnius. Statue of soldier in the mid air. Soviet era statues are being dismantled from the Green Bridge over the Neris river in Vilnius. Firts statues were taken off in the midle of the night. 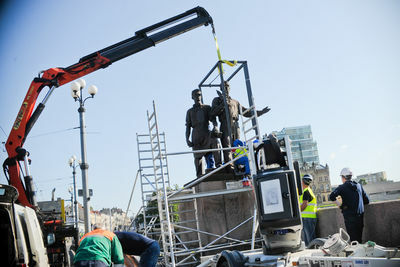 Soviet era statues are being dismantled from the Green Bridge over the Neris river in Vilnius. 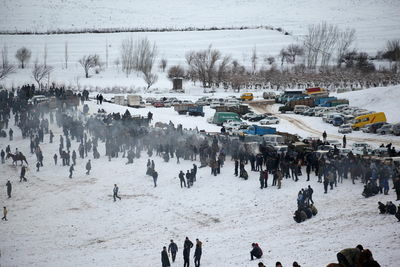 Workplace were secured by police. 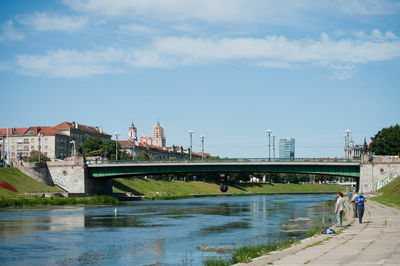 Soviet era statues are being dismantled from the Green Bridge over the Neris river in Vilnius. Empty postament of one of the statues. 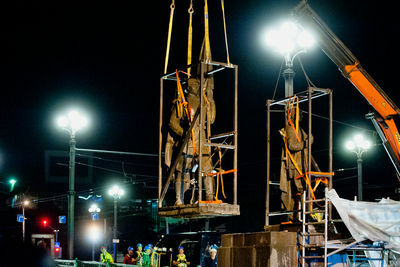 Soviet era statues are being dismantled from the Green Bridge over the Neris river in Vilnius. 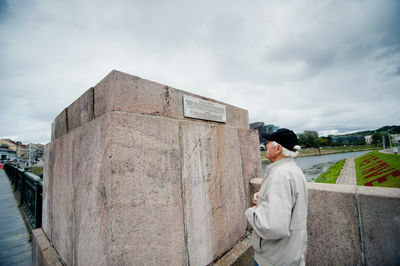 Mindaugas Standing on pedestal where soviet soldiers used to be. Mindaugas: My grandfather is commander of revolution against Bolshevism on 1941. 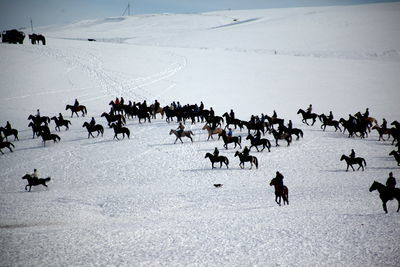 For my and for my family it is festivity. 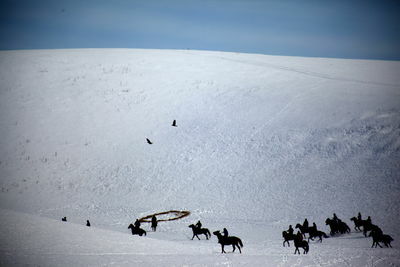 But it is strange that this festivity come after 25 years. 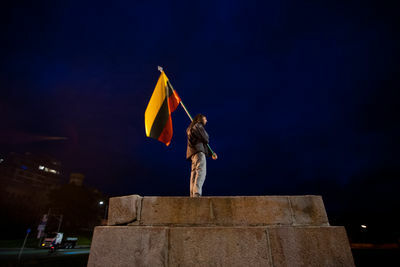 I am standing here to show that if Bolsheviks standed here for 25 years, now here should be placed flags of Lithuania. Soviet era statues are being dismantled from the Green Bridge over the Neris river in Vilnius. Bridge was secured by police while demontation works continued. Soviet era statues are being dismantled from the Green Bridge over the Neris river in Vilnius. 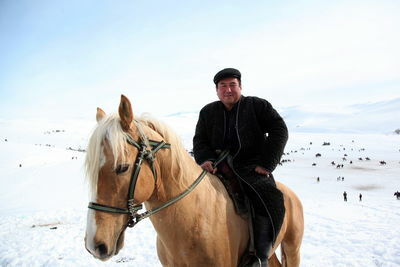 worker in front of statues. 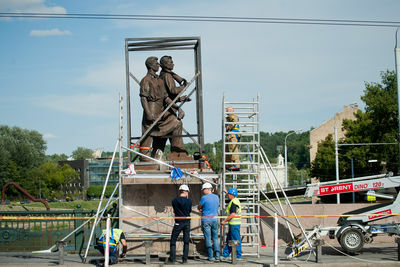 Soviet era statues are being dismantled from the Green Bridge over the Neris river in Vilnius. 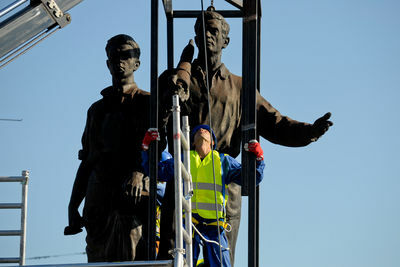 Worker is placing frame to support statues when they will be taken off. 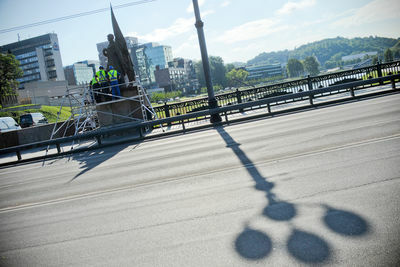 Soviet era statues are being dismantled from the Green Bridge over the Neris river in Vilnius. 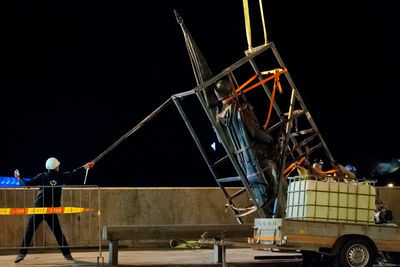 Frame is being placed over the statues. 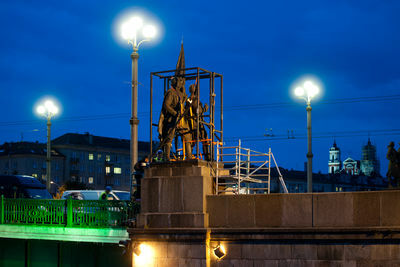 Soviet era statues are being dismantled from the Green Bridge over the Neris river in Vilnius. Workers near by the statue. 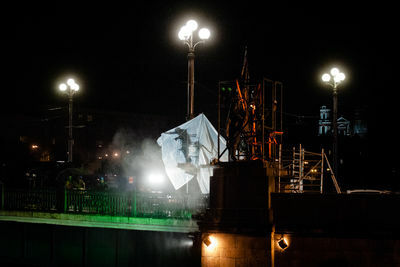 Soviet era statues are being dismantled from the Green Bridge over the Neris river in Vilnius. 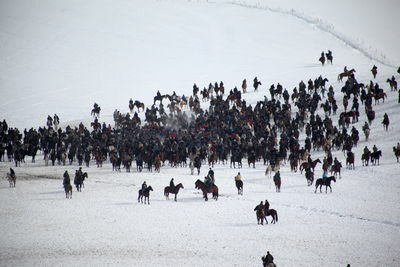 Pedestrian traffic were limited. 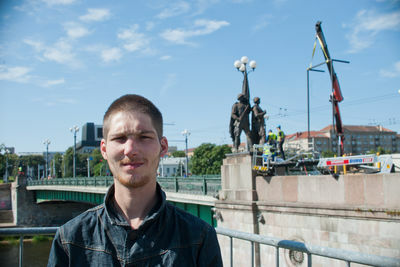 Soviet era statues are being dismantled from the Green Bridge over the Neris river in Vilnius. 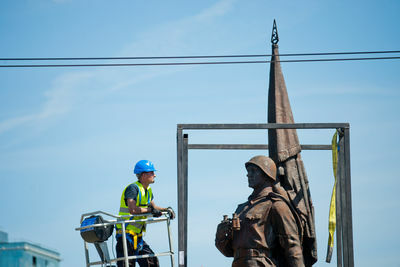 Frame is being placed over the statues of soldiers. 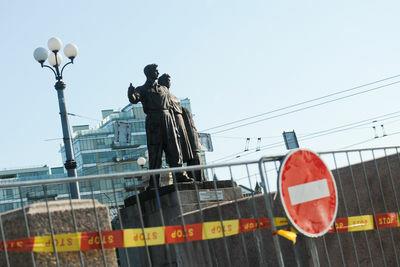 Soviet era statues are being dismantled from the Green Bridge over the Neris river in Vilnius. Green bridge. 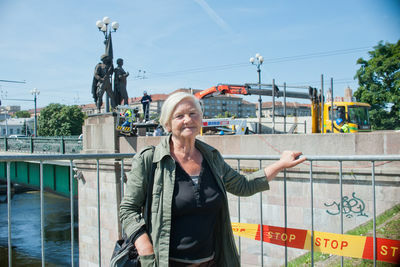 Soviet era statues are being dismantled from the Green Bridge over the Neris river in Vilnius. Marija: it should have been done long time ago. I'm thankful to our mayor.No matter that it is work of our sculptors I see no art here. 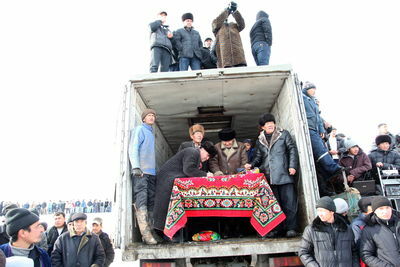 This is tribute to sovietism. 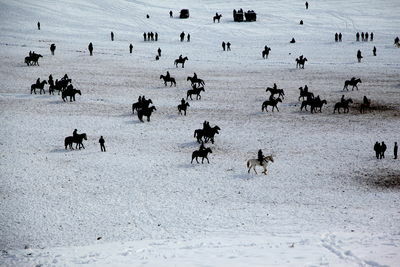 I hope they (sculptures) will not come back. 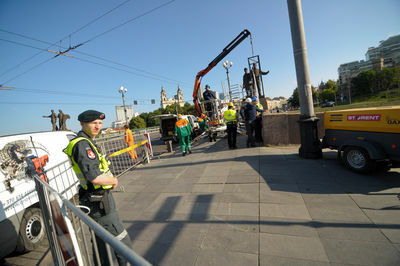 Soviet era statues are being dismantled from the Green Bridge over the Neris river in Vilnius. Boris: I am sad. When Arturas Zuokas was mayor he didn't let this to happen. Now you will cross this bridge and you will not see these sculptures. It was way to educate children. 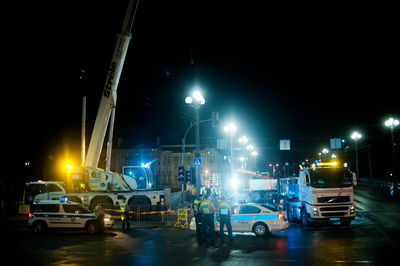 Soviet era statues are being dismantled from the Green Bridge over the Neris river in Vilnius. Saulius Stoma: it looks funny to me. We are free out of this system for such a long time. These statues are symbols ot that system. I can see no art here. On XXI age people are still killed under these symbols, so I think these symbolls are unaceptable. Soviet era statues are being dismantled from the Green Bridge over the Neris river in Vilnius. 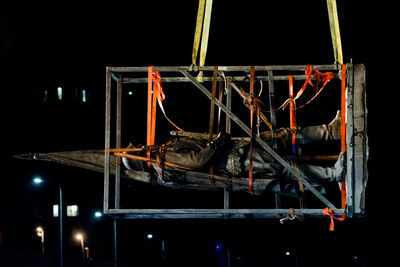 Elena: Destroying and removing these sculptures is inhumane. That system was real system for real people. Soviet era statues are being dismantled from the Green Bridge over the Neris river in Vilnius. 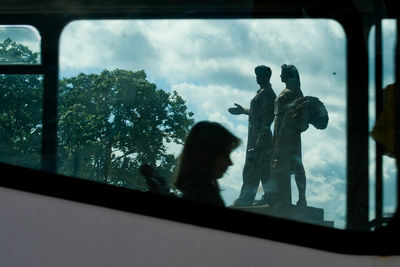 People watching through the window of trolleybus. Soviet era statues are being dismantled from the Green Bridge over the Neris river in Vilnius. 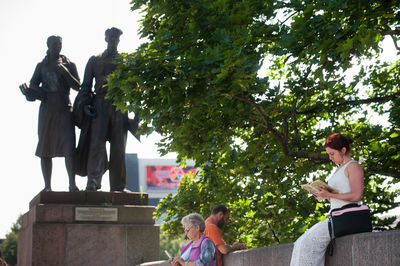 Woman are reading in front of statue of "Youth of Education". Soviet era statues are being dismantled from the Green Bridge over the Neris river in Vilnius. Worker is facing soldiers statues. Soviet era statues are being dismantled from the Green Bridge over the Neris river in Vilnius. 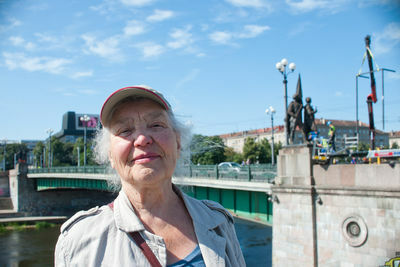 Woman near by statues. Soviet era statues are being dismantled from the Green Bridge over the Neris river in Vilnius. Soviet era statues are being dismantled from the Green Bridge over the Neris river in Vilnius. Soldiers int the cage. Soviet era statues are being dismantled from the Green Bridge over the Neris river in Vilnius. 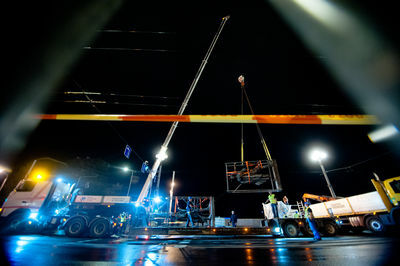 Works took through night. 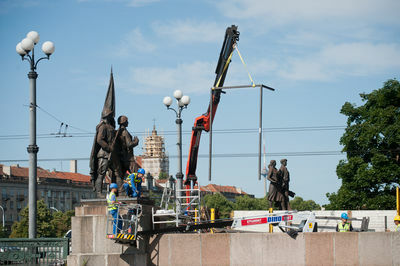 Soviet era statues are being dismantled from the Green Bridge over the Neris river in Vilnius. 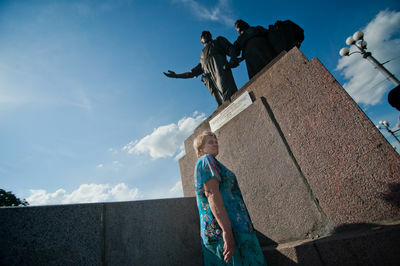 Woman passing by the soviet statues by buss.